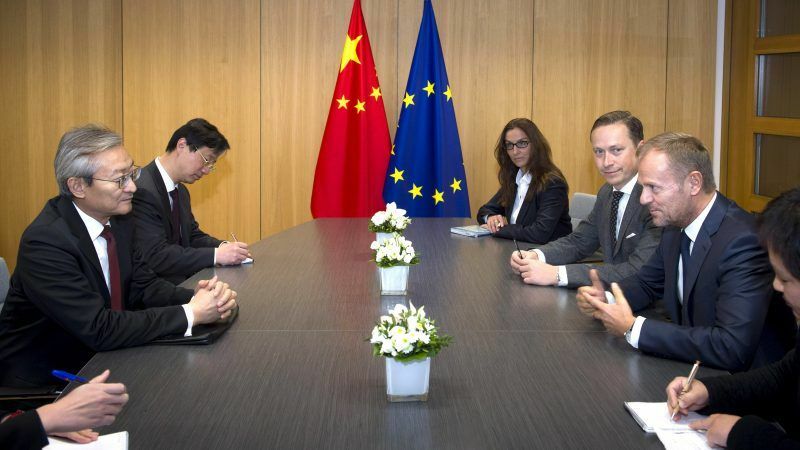 Chinese ambassador Zhang Ming during a meeting with European Council President Donald Tusk. China and the EU are “in the same boat” when it comes to preserving multilateralism, China’s ambassador to the EU, Zhang Ming, stressed in an exclusive, wide-ranging interview with EURACTIV.com, which also addressed next week’s ASEM summit and China’s relations with its Asian neighbours. Ambassador Zhang also admits that China has to do more to open up to foreign companies in some sectors and promises moves to strengthen the protection of Intellectual Property Rights (IPRs), saying “forced transfer of technology is strictly prohibited”. Zhang Ming is the Ambassador Extraordinary and Plenipotentiary and the head of mission of the People’s Republic of China to the European Union. Ambassador Zhang Ming responded to written questions from EURACTIV. The 12th ASEM Summit will be held in Brussels next week. Chinese Premier Li Keqiang will attend the summit. What is your expectation for that? What outcomes does China hope to see? Thanks to the joint efforts of Asian and European countries since ASEM’s inception 22 years ago, Eurasia is now embracing broad prospects for development and great opportunities for cooperation. In the current global context, it is imperative for us ASEM members not to forget why we started, and to send a clear message of supporting multilateralism and preserving international rules and free trade at the upcoming summit. The EU, as the host this year, will have a crucial role to play. China will extend great support to the EU in this regard. Since day one of ASEM, China has always been an active and cooperative member committed to building consensus. 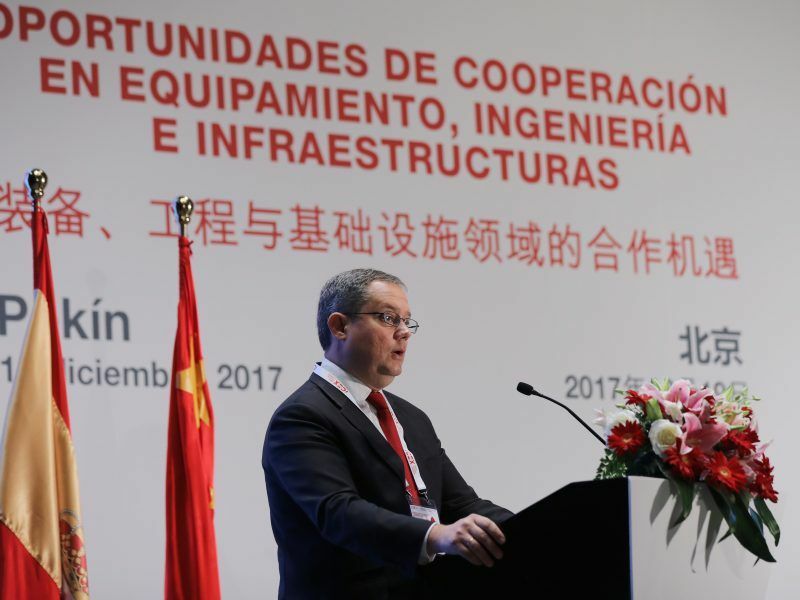 In recent years, China has been a vigorous advocate for connectivity cooperation in Eurasia and has contributed ideas to this end. Through the upcoming summit，China stands ready to join forces with other members to safeguard multilateralism, forge stronger partnerships, and strengthen the Asia-Europe cooperation in an open spirit for the benefit of all. China’s weight in the region has sparked some tensions on the economic and security fronts. Malaysia cancelled a massive Belt and Road project given the loan terms. China is clashing with countries like the Philippines over the strategic and resource-rich South China Sea. Are you concerned about how your assertiveness in that region is seen in other parts of the world, including Europe? How would you recalibrate your engagement in the ASEAN region? Here in Brussels, I meet ASEAN ambassadors quite often. Every time we meet, we feel friendly and amiable to each other, and there has never been a sense of “tensions”. Both sides share the view that the growth of China-ASEAN relations has delivered real benefits to the two billion people from the two sides, and has contributed to peace, stability and prosperity of this region and beyond. Our close cooperation in the Free Trade Agreements (FTA) framework is a just case in point. With joint efforts, the situation in the South China Sea is further stabilizing. China and ASEAN countries are formulating a code of conduct in the South China Sea, and have registered positive progress. We hope that relevant parties could work with us in the same spirit and play a helpful role, rather than the other way round. Last Spring, Ambassador, you said the trade dispute with the US could pull the global economy back into recession. Since then, the trade war has only got worse. Are we nearing the end of the cycle? Obviously, politicians, businessmen and scholars very much agree on the harmful nature of unilateralism and protectionism. In a recent joint report, IMF, WTO and the World Bank flagged the increased threat to global stability, jobs and growth brought by a continued escalation of trade tensions. China does not want a trade war with the United States, or any other country. On China’s part, the door of dialogue remains open. We are ready to settle trade frictions through dialogue that is based on equality, good faith and mutual respect. Given the great economic closeness between China and the EU, I would say that we are in the same boat. We hope to make joint efforts with the EU and other parties to bolster the multilateral free trade system, tackle the impact of unilateralism and protectionism, and save the global economy from a severe damage. Europe and the US should quickly sort out the current issues in their “long-term faithful marriage” so they can speak in “one powerful voice” and address China’s global activities, US ambassador to the EU, Gordon Sondland, said on Wednesday (3 September). China is trying to forge a united front with the EU to address President Trump’s attacks against multilateralism. However, the EU and US share similar concerns when it comes to China’s subsidies or intellectual property practices. The EU has a problem with this US administration, but also longstanding differences with China. Is China running out of time and opportunities to bring Europe to its side? How would you address the EU complaint filed at the WTO regarding China’s IP practices and the forced transfer of technology imposed on foreign companies? To stick to multilateralism, or to let unilateralism have its way? This is a critical question that must be answered. China has remained steadfast in upholding multilateralism. I am glad to notice that the same commitment is shared by many European leaders as well. At the China-EU Summit last July, leaders from both sides agreed to enhance strategic coordination, jointly safeguard multilateralism and the rules-based free trade system, promote greater openness of the global economy, and contribute to global peace, stability and prosperity. China hopes to act together with the EU in such a spirit, jointly preserve the UN-centered international system, especially the WTO-centered multilateral trade system, with a view to bringing a greater sense of certainty to this world. This serves the interests of not only China and the EU themselves but the world at large. 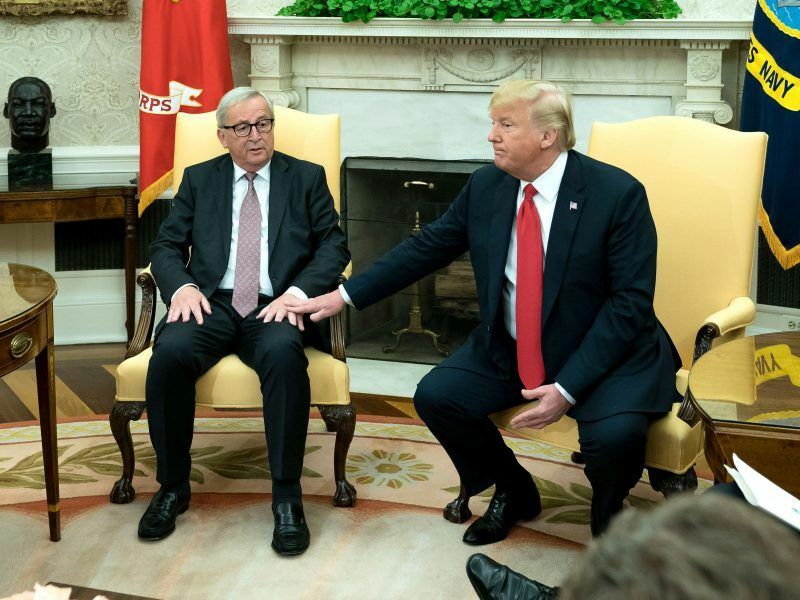 EU leaders in Beijing today (16 July) sought to offer an alternative to the disruptive international policymaking of US President Donald Trump, who called both EU and China ‘foes’. For China, reform and opening up is a set direction that would not be turned back. Understandably, for such a big country as ours, reform and opening-up must be a highly complex and arduous undertaking. In some areas, we have made notable progress, while in some others, there is still more to be done. When I talk to European friends including industry representatives, I have heard praise, suggestions as well as criticism. Their views are generally positive and constructive and are largely in line with the direction of reform and opening up in China. Please rest assured that these opinions will be taken seriously and studied carefully by China. On IPR protection, I would say that the Chinese government holds a firm stance on that. If China is to become more innovative, the first thing to do would be to put in place a rigorous IPR protection regime. We have further improved the legal system along that line, and have introduced a set of rules for administrative and judicial enforcement. Forced transfer of technology is strictly prohibited. Definitely, we will continue to do more to strengthen IPR protection. We hope that our European friends could see our endeavour as an evolving and constant process, instead of a static one. 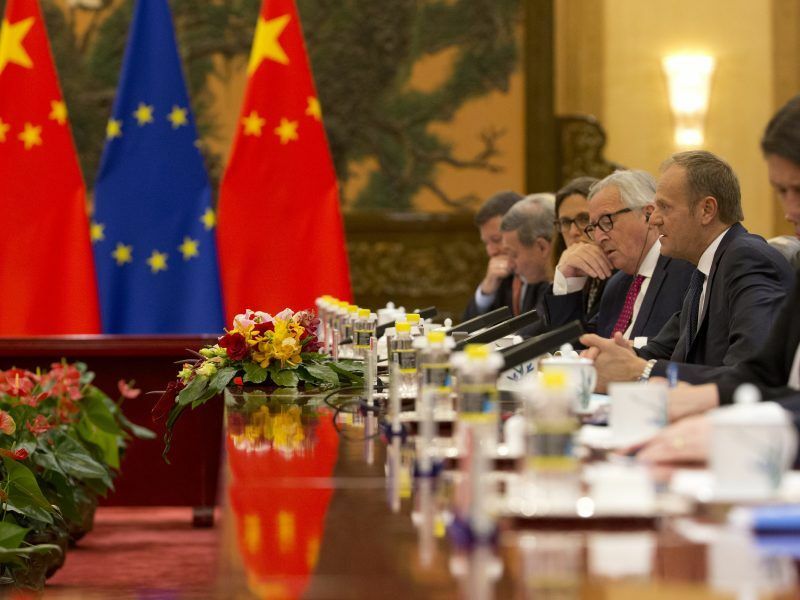 Together, China and Europe stand to find more opportunities for cooperation. Despite President Xi Jinping’s speech in Davos and other recent announcements, Europeans don’t trust the commitment to open up the Chinese economy. Is the reform of the WTO the last chance for your government to prove its commitment to multilateralism? As a matter of fact, many Europeans that I have engaged with expressed their confidence in the general direction of reform and opening up in China and in the resolve of Chinese leadership. Since the start of reform and opening up 40 years ago, great changes have taken place in China. Over 700 million people have shaken off extreme poverty. Foreign trade has grown by 14.5% annually on average. It is fair to say that we have made a tangible contribution to the progress of human society and injected sustained impetus into the global economy. There is not a single reason for us not to keep to the path of reform and opening-up. At last year’s Davos Forum, President Xi Jinping reiterated China’s commitment to multilateralism, reform and opening up. That was a serious message from China’s top leader, loud and clear. It is encouraging to note that the speech has resonated well around the world. 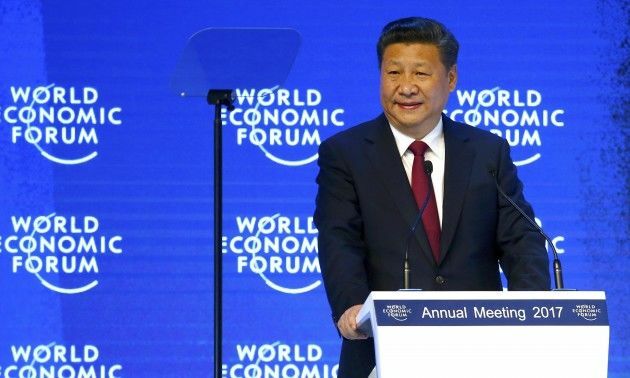 As world leaders gathering in Davos on Tuesday (17 January) tried to make sense of recent economic and political turmoil, Chinese President Xi Jinping made a fervent case for globalisation. China has swiftly taken a number of concrete steps to turn that vision into reality. China is not interested in building walls, but in lowering threshold for access. Its door will not be closed but will open wider and wider. This coming November, China will hold the first international import expo in Shanghai. It is another major step that we voluntarily take to open to the world. We welcome the active participation of all interested partners. The WTO-centered multilateral trade system has an indispensable role to play in resisting protectionism, promoting trade and sustainable development. Yet, there is no denying that the WTO is not flawless. China supports necessary reform to make the body more fit for purpose. In WTO reform, three principles are of crucial importance. First, the fundamental values of the organization should not be abandoned. In other words, the current system could not be upended altogether. Second, development should be put right at the centre, with the reasonable demands of developing members properly handled. Third, the reform should follow a step-by-step approach on the basis of equality, mutual respect and mutual benefit, addressing the body’s most immediate existential challenges in the first place. China and the EU have established a joint working group on WTO reform. 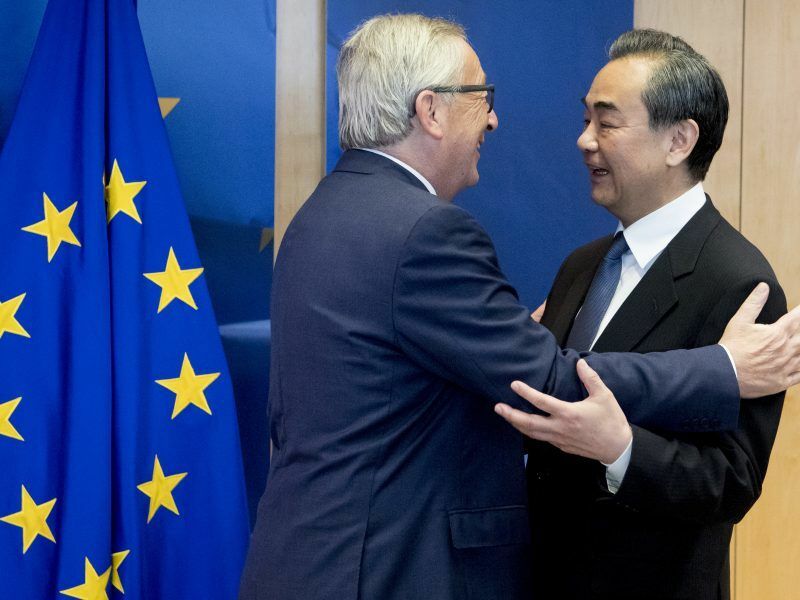 China will keep close communication with the EU over this matter. At the trade fair next month, what message could we expect President Xi to deliver to the global community? It is a significant decision made by China’s top leadership to hold the international import expo, with the aim of bringing openness to a higher level. As I mentioned in the previous question, it will be a major action that China voluntarily takes for greater openness. This expo will be the first of its kind in the world, one that is dedicated to import, rather than export. It will make foreign trade more balanced, improve the structure of supply and the quality of China’s economic development, and help satisfy people’s growing needs for a better life. Given the broader context of rising protectionism, an expo like this will be a strong testimony to China’s resolve to further open up, thus bringing a mood of optimism to global markets. We look forward to the active participation of European countries. We are keen to work with other partners to turn the expo into a platform for showcasing the strengths of each participating country and for cooperation in the realm of global trade. There is a serious risk that Brexit talks will end without an agreement and both sides are drafting contingency plans. If there is no EU-UK agreement, would you sign a trade deal with the UK? Is China also preparing for this contingency somehow? Is the growing tide of populism and extreme politics in Europe a threat also to China? For China, is the future of Europe “more Europe”, even with new member states (Western Balkans) after Brexit? We are closely watching Brexit, and we hope that it could be properly worked out through negotiation. China places importance on Europe, and maintains sound relations with the EU and all its member states. We hope to see a prosperous, strong, stable and united EU that plays a big role in global affairs. We hope to see a strong euro. 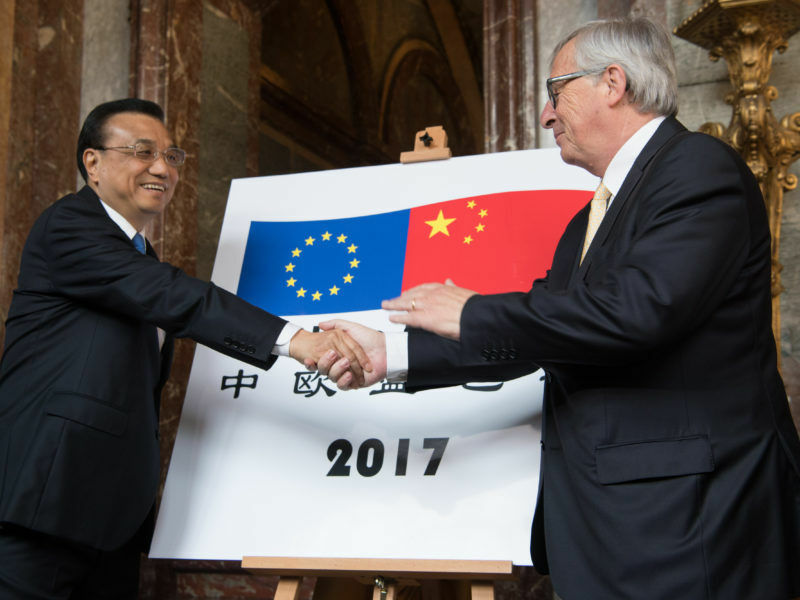 This year marks the 15th anniversary of the China-EU comprehensive strategic partnership. China and the EU need to forge synergy between their respective development initiatives, expand the areas and avenues of cooperation, and add positive elements to this world imbued with drastic changes and great challenges. Lawmakers in the European Parliament approved on Monday (28 May) a far-reaching proposal calling for greater scrutiny of foreign investments, part of a bid to respond to a flurry of Chinese acquisitions in the European Union. Once the EU’s new mechanism for screening foreign investment is in place, do you expect a significant reduction in Chinese investment in the member states? We have noticed the recent developments concerning a new Foreign Direct Investment (FDI) screening mechanism at the EU level, as well as different views on that from European countries. In this globalised age of highly intertwined interests, trade liberalisation and investment facilitation is an important pathway toward a sound allocation of resources and win-win outcomes. In fact, this is exactly what Europe has long been standing for and benefiting from. It serves the interests of most countries to build an open world economy, and this is an irresistible trend of our time. History has taught us that hiding behind closed doors would not lead to long-term progress, and that self-isolation would get one nowhere. The EU is widely recognised as a facilitator and beneficiary of multilateralism. 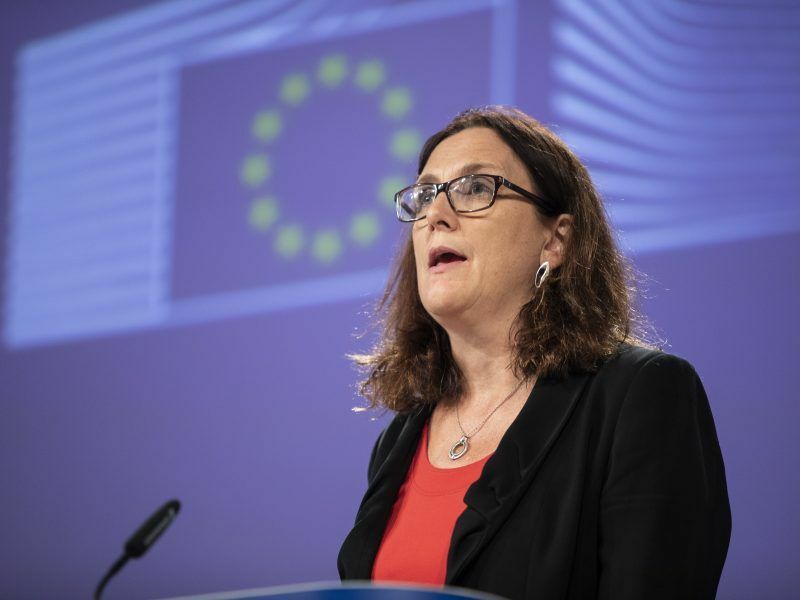 As the very spirit of multilateralism is being exposed to challenges unseen before, we hope that the relevant measure of the EU will strictly observe the fundamental principles of the WTO, especially the principle of non-discrimination. It is advisable to act in the spirit of openness, keep away from protectionism and avoid sending a misleading and negative signal to the outside. Typical Chinese evasiveness, especially on tech transfers. Don’t fall for it EU. China can only be judged by its actions, not its words. And when the Chinese do promise action, they always say tomorrow, not today. Typical Chinese evasiveness.